With the UK's rail knowledge and experience regarded as some of the strongest in the world. It comes as no surprise that many nations are looking to the UK to provide expertise on their new developments and upgrading projects. The likes of LUL, HS1&2 and Crossrail are well known globally as being at the forefront of national and urban transport development. Not just from an engineering and construction perspective but also the systems, safety and technology making the customer and operator experience so successful. With many new developments either planned or underway across the globe the demand of talent is strong and our recent Brexit woes are only strengthening the case to buy or import British. The UK’s unique mix of ageing and ultra-modern infrastructure means that engineers from the sector are in demand all over the world. Today, the rail industry plays a key role in the nation’s economy, contributing around £9.3bn each year. Nearly one in five European passenger journeys take place in the UK, giving the nation the fastest-growing rail network in Europe. 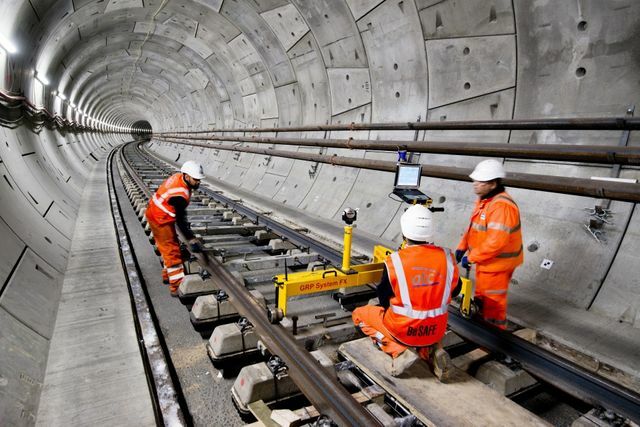 Thanks to projects like Crossrail, UK rail skills are admired around the world, but keeping up that growth requires skill. Much of the network in Britain is buried deep within the urban environment that makes maintenance and renewals complex tasks. As well as this, the UK has several regional systems that developed when the railways were originally conceived. “This presents technical challenges that do not exist in many other countries,” said Ailie MacAdam, global rail sector lead at Bechtel.